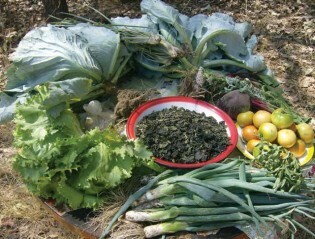 Farming is an essential activity in order to create development and food security. DAPP Farming at Park Estate and Kukwanisa has build up professional farming with a Fruit Production and a Poles Production and land for seasonal crops. The farms are used as model for farming and for training purposes for Frontline Institute and Ponesai Vanhu Technical College. It is closely linked with the farming projects in DAPP Zimbabwe. The productions are also development projects in their own right, as they create good working places and promote economic growth in the community. DAPP Farming has added activities and research connected to food production that is adapted to climate change and aim at local self sustainability. Park Estate is at the same time hosting Frontline Institute and DAPP Zimbabwe Country Office. 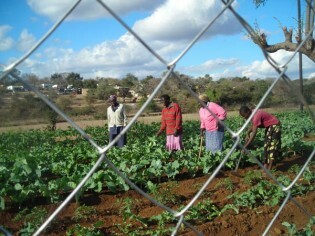 Kukwanisa Model Farm is where different researches are aimed at promoting Community Development. The production at the Model Farm is aimed at being a role model to the communities around Kukwanisa under the Child Aid program. This project started in 1990 and is situated in Shamva District of Mashonaland Central Province. The project has 290 hectares of eucalyptus, planted in 1994, 13 ha of citrus well established and maintained. Animal husbandry has been added to activities in 2007.The project has a strong connection to the local community and is using experiences and facilities to benefit them from the place we have designed for them to meet and have their community activities and information and training on farming and related activities. The Batanai Primary School is educating the children from Park Estate and neighbouring villages and is involved in school development. Kukwanisa Model Farm has a strong link to the 3000 families enrolled in the Child Aid program in Mutasa district. The model farm acts as a centre for inspiration and researching on new crops all centred to benefit the communal Farmers.